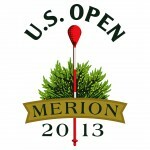 It’s one of the most exciting weeks of the year for golf fans, with the 2013 U.S. Open set to get underway from Merion Golf Club in Ardmore, Pennsylvania. The USGA has the course ready to go, and the players are gathering on site ready to tackle the challenges that are sure to come their way all week long. For bettors, a Major championship always comes out with more than a typical tournament we see on the PGA Tour. That means we can expect to see a bunch of different lines leading up to the start of the round on Thursday, all the way through the final round on Sunday. Of course it starts with the odds to win the 2013 U.S Open, for which Tiger Woods is set as the 9/2 favorite. Woods is well out in front of the rest of the 156-player field that tee it up at Merion. Players behind Woods include Rory McIlroy, Phil Mickelson, Matt Kuchar, and Adam Scott. All of these players have been set with equal odds at 20/1. But the lines don’t stop there. In fact, if you visit Bovada Sportsbook right now you would see a wide variety of odds that are available. Such categories of lines include 3-ball pairings, head-to-head odds, and props. The 2013 U.S. Open props might be the biggest disparity in what to expect. Such odds include top finishers by nationalities, group odds putting a handful of players together for the best finish, hole-in-one-props, winning score, winning total, and more. In addition to that, for bettors who are interested in wagering on a player, but not ready to pull the trigger on picking the overall winner, there are top-five and top-10 payouts that can be had as well. All that is needed here is a high finish to win the betting line, not necessarily a victory. Since the risk is less, the payout will be less, but there is still room for a better-than-even-money line to check out, even for top-10 players in the world. PGABettingOdds.com has complete coverage of the U.S. Open this week in our 2013 U.S. Open preview page. Get complete betting odds for every player in the field, free picks on the winner, and more! This entry was posted in News, Opinion and tagged 2013 us open golf preview, 2013 us open odds, adam scott, merion golf club, rory mciltoy, tiger woods on June 10, 2013 by Bryan.